Jayant provides leadership and guidance to the sales team at Harbinger Interactive Learning. He has over 30 years of professional experience in the diverse fields of interactive content development, eLearning software, CAD/CAM software, and manufacturing software. Prior to his current role, Jayant headed the content services business at Harbinger as Executive Director for 16 years. Under his leadership, the company got recognized as a leader in eLearning content development services globally. He has been instrumental in establishing successful business relationships for Harbinger in North America, Europe, UK, India, and East Asia. He has traveled extensively to these countries and has represented Harbinger in international conferences and exhibitions on eLearning and training. During his tenure at Harbinger, Jayant also served as the Executive Director of Harbinger Knowledge Products, a provider of market-leading products for building interactive content. Earlier in his career, he worked at Caterpillar USA, in Manufacturing Engineering Applications. 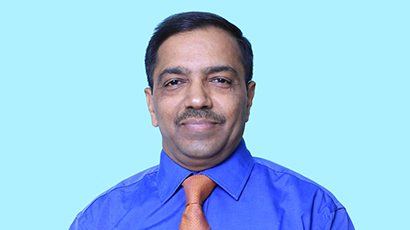 Jayant holds a Bachelor of Mechanical Engineering degree from the University of Pune. Jayant is fond of music. He is presently learning to play Tabla, an Indian percussion instrument. He is also involved in many social and cultural activities.